This PDF 1.5 document has been generated by / doPDF Ver 7.3 Build 382 (Windows 7 Home Basic Edition (SP 1) - Version: 6.1.7601 (x86)), and has been sent on pdf-archive.com on 12/12/2017 at 08:12, from IP address 76.183.x.x. The current document download page has been viewed 77 times. File size: 455 KB (5 pages). A check for the $75 deposit must be included. The balance is due at the beginning of the conference. Registrations must be postmarked by January 22nd.  I am under 21 years of age.  I have been confirmed.  I have been baptized.  I am interested in entering the Talent Show.  I am interested in singing in Choir.  I am not able to sleep on a top bunk (registration may be returned if no more bottom bunks are available). Choir, please mark a 1, 2, or 3 for your preference of elective courses. Frequently Asked Questions and agree to abide by them. What is St Gabriel’s Conference? devil. The St Gabriel’s Conference is a weekend version of the same thing for adults. The conference is open to adults, 19 years of age and older. submitting registrations is January 22. Do you have to be an Anglican to register? 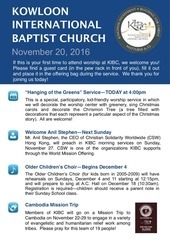 Catholic faith and being a part of a worshipping Christian community is welcome. 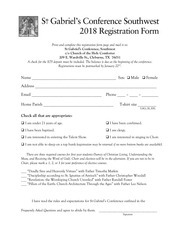 Can clergy register for the conference? 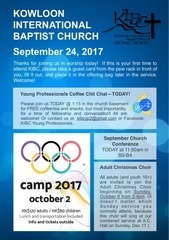 of Fort Worth, located at 2875 Camp Crucis Ct, Granbury, TX 76048. 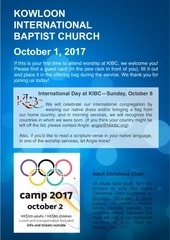 Visit campcrucis.org . Conference.” The balance of $124 is due when you arrive at Camp Crucis for the Conference. (including deposit) will be returned. Can married couples room together? No. All accommodations are separate for men and women at the conference. Can you leave early, arrive late, or only attend part of the conference? you make every effort to arrive by 7pm. Are visitors allowed at the conference? men and dresses for women), and musical instruments and anything needed for the Talent Show. in Bishop Mason Lodge, with overflow in Bishop Davies Lodge. What is the policy on alcohol, tobacco, and medication? Camp Crucis. No smoking or vaping is permitted inside the buildings or at the entrances. the conference or on the campus. Can I serve as an acolyte? you have a cassock that fits you well, you are welcome to bring it. Do I have to attend St Michael’s before I attend St Gabriel’s? No. Former Michaelites are welcome as well as those who have never attended any conference. Can I skip or test out of courses I took at St Michael’s? started with basic courses, which will also serve as a good refresher for former Michaelites. Are attendance at worship and at classes mandatory? 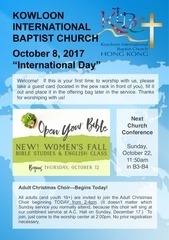 Yes, worship and classes are not optional at the conference. Do I have to make my confession? confessions in the chapel throughout the conference. This file has been shared by a user of PDF Archive. Document ID: 00707369.